Update: Visit my website to view video's, more pics, pricing and more. Key Features: Private Parking, Duvets, Duvet Covers, Sheets, Pillows, Pillow Cases, Gas & Electric All Included. 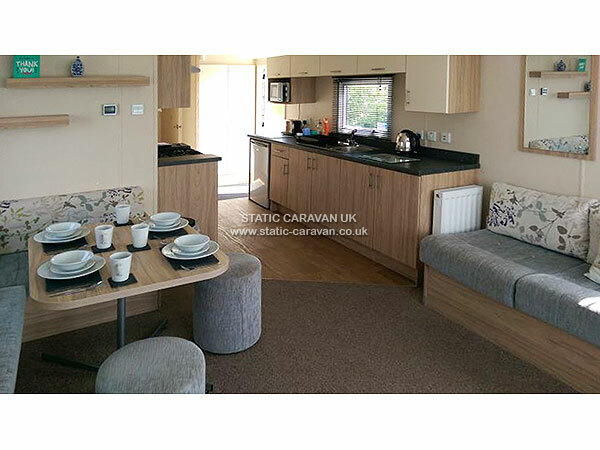 This Caravan is personally cleaned by myself, NOT Haven. Is Doubled Glazed with Central Heating Throughout and has in addition Factory Fitted Warm-Air Heating in all Bedrooms if case you don't want the central heating on and it's a bit nippy. 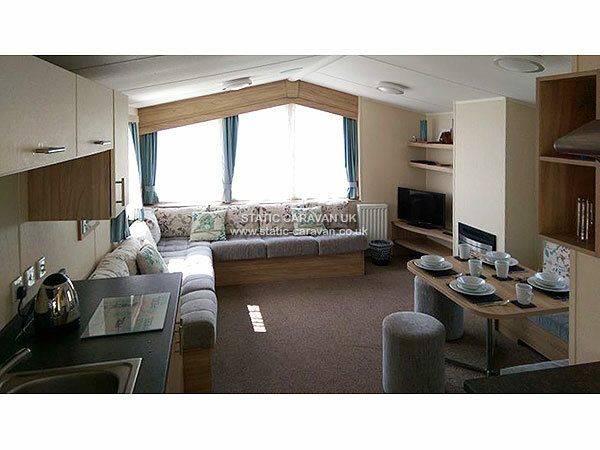 It's ECO friendly in mind so the caravan is lined with Kingspan Insulation. 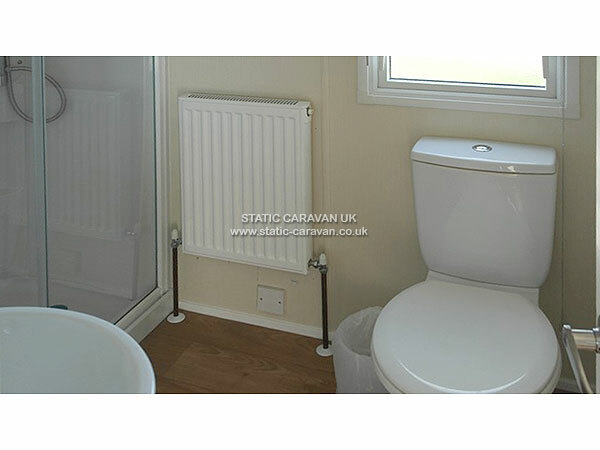 The boiler in this caravan has a double water flow rate from standard caravans, so no slower running hot water. Has a spacious wrap around seating area, with plenty of windows. There's a 32" LED TV/DVD with built in preview which also comprises 3 x HDMI and 1 Pc Sockets, so if you wish to bring a Games Console along, you can. There's also a USB socket. The Fire is Gas Operated, set into a landscape fireplace which has 3 Radiant's. To the side of the lounge is the Dining area which seats 6 people on a free standing dining table. Is beautiful, well-spaced out. 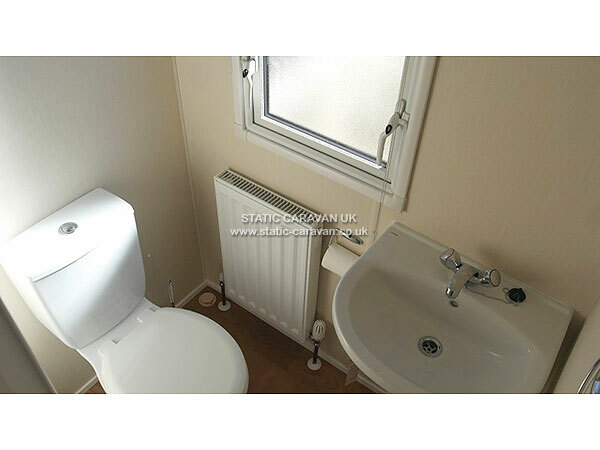 There's a toilet, sink, a radiator and shelves to keep your clothes on whilst getting changed. The walk in shower cubicle is amazing with a variable shower head, there's even little shelves in the shower to pop your cleaning products on. There's an extra toilet with sink in another room adjacent to the bathroom if that one's occupied, it also has a radiator. All the beds in all the bedrooms are on the floor, no bunk beds. 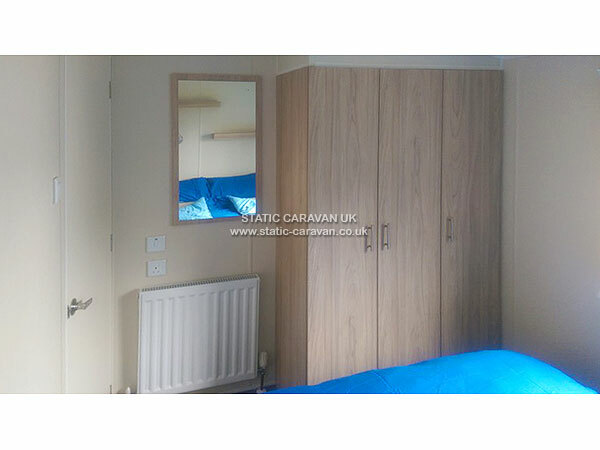 All bedrooms have a radiator and also have factory fitted warm-air heating fans. 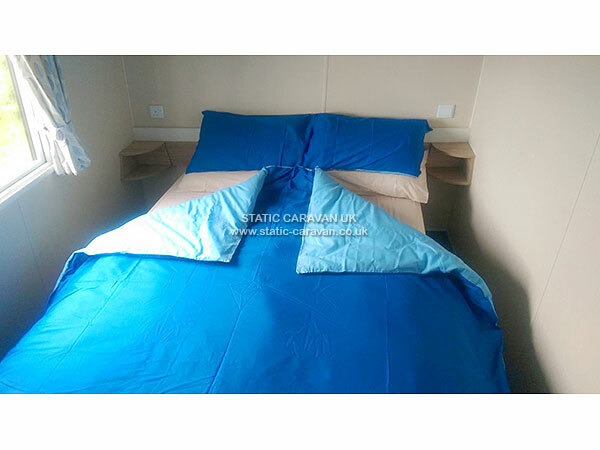 There are 3 Bedrooms, one with a Double Bed and two twin bedrooms which have 2 Single Beds in each. I also provide a cot. Also included if needed are: - Travel Cot, Indoor 3 tier clothes airier. Lead name must be at 21yrs of age to book. PayPal, Bacs, Cash All Excepted. 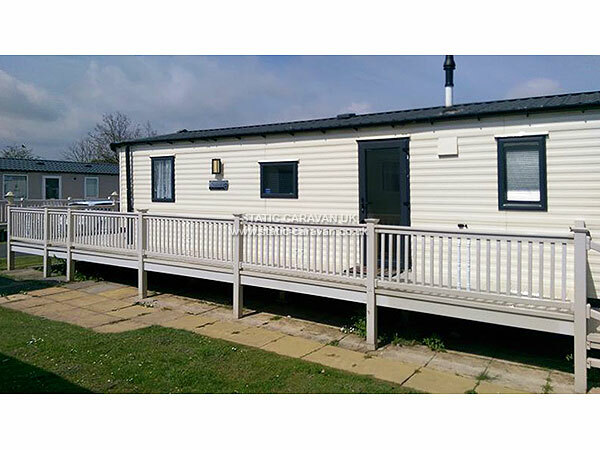 There is in addition to the holiday price a returnable security bond of £75 p/week. 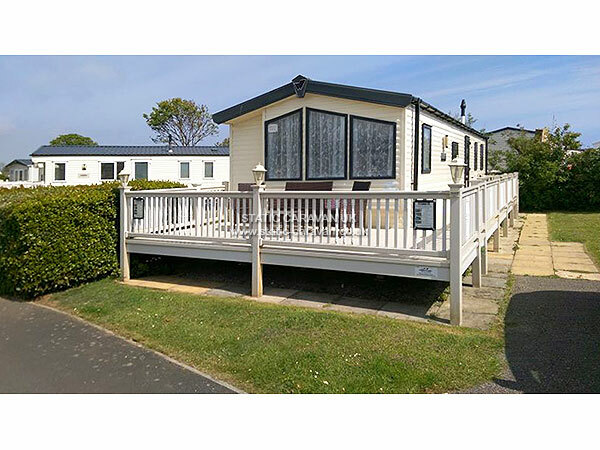 This will be returned to you once the holiday home has been inspected for any Items missing, damaged, including fixtures, fittings, floors and walls. Any cutlery, cookware's, cooker, fridge, microwave, cupboards, sink, floors, walls, furniture, carpets etc, that are left in a dirty or grubby condition will also mean the loss of your bond. I don't expect you to clean the caravan like I do, but a concerted effort must be made. Cleaning products are left available for you. Over occupying the caravan will also mean the loss of your bond. A £100 deposit p/week is required to secure your reservation. This is classed as a non refundable booking fee/deposit. On receipt of your completed booking form, a confirmation of booking will be sent out to you showing the full cost of your holiday and the date the balance is due. (Not less than 56 days before commencement of your holiday). 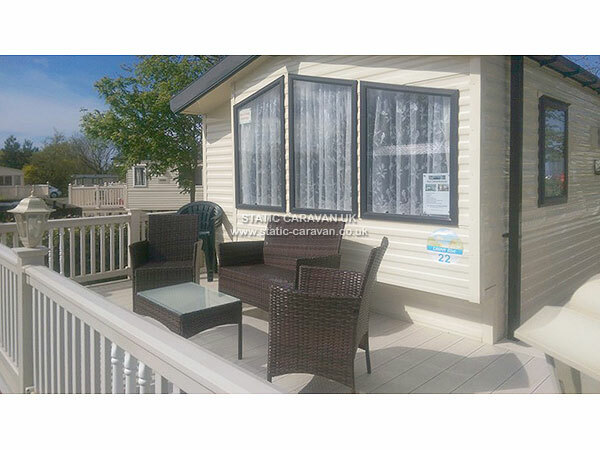 If you book within 56 days of the start of your holiday the full cost is payable upon booking. Failure to pay your holiday balance by the due date will be treated as cancellation of your booking, and you will be liable for cancellation fees as detailed below. I reserve the right to cancel your booking and re-let the accommodation if payment is not so received. No refunds will be made.